I’ve been quietly following Melo-X for some time now. I first knew him as DJ Melo-X when he was spinning for a weekly showcase in NYC. If I’m not mistaken he still does the DJ’ing thing, but he also makes music……..Dope Music!! This is his latest joint produced by MachineDrum called “Let It”. 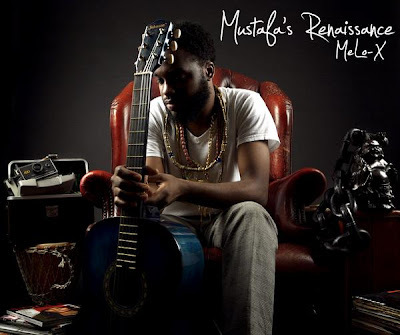 Also, here is the link to his latest mixtape (if I’m not mistaken) titled *Mustafa’s Renaissance*. I’m about to re-download it my damn self right about now. It’s definately worth the download!